Summary: We regard a prosperous middle class as our just due. In fact generations of union activists played a larger role in creating it. It existed for only a few generations, and survived the crushing of unions by a few decades. On Labor Day let’s remember the lost history of the union movement, and learn from it — to do better in the future. The rise and fall of unions. The rise of America’s middle class. Throwing away what as gained over 110 years. (1) The rise and fall of unions. In the mid-1970s Cornell’s School of Industrial and Labor Relations was a key part of the labor movement. Its graduates were among the vanguard of the labor movement — to continue progress that over the previous 110 years had played a large role in building America’s large middle class. The ones I knew were idealistic, hard-working, and confident they were on the winning side (it was the 1970s). Its graduates were trained in the social sciences (including political sciences) and business. They did not know they should have been studying strategy and tactics from the West Point curriculum. Corporate leaders had decided to roll back the New Deal, and breaking unions was a key art of that. War, of a sorts, had been declared — undeclared, lavishly financed by patient capital, executed by talented people. Forty years later the union movement is broken, with the last bastions — such as government employees — now under attack. (2) The rise of America’s middle class. — Adlai Stevenson’s speech to the American Federation of Labor in NYC on 22 Sept. 1952. The middle class was not a gift to us from the Blue Fairy. Instead of “Bibbidi-Bobbidi-Boo”, workers mobilize against their employers. It took generations after the Civil War to build America’s middle class, and unions were a large factor making it happen. They provided organization, political muscle, money for research and training people to counter the massive institutional power of corporations. In response corporations organized cartels to fight their workers and raise prices for their customers. It was a long bloody struggle, For a blow-by-blow of unions’ rise see this series by Erik Loomis (Asst Prof of History, U RI). The toll paid by union members — in time, work, and often blood — is as much a cost of building America as that paid by the members of our armed forces. September 1739: The Stono Rebellion. July 1835: Paterson Textile Strike of 1835. February 1865: Sons of Vulcan win nation’s first union contract. August 1866: National Labor Union demands Congress implement the 8-hour day. June 1877: Molly Maguires executed in Pennsylvania. July 1877: The Great Railroad Strike. February 1864: Kate Mullaney and Collar Laundry Union go on strike in Troy, New York. September 1885: Rock Springs Massacre. December 1886: Creation of the Colored Farmers Alliance. February 1887: Grover Cleveland signs the Dawes Act. July 1892: People’s Party Convention. July 1892: The Homestead Strike. July 1892: Miners outside of Coeur d’Alene, Idaho blow up the Frisco Mill. February 1894: Cripple Creek gold miners strike. May 1902: Anthracite coal miners strike in Pennsylvania begins, TR mediates. December 1905: Murder of former Idaho Governor Frank Steunenberg. November 1909: Uprising of the 20,000. March 1911: Triangle Shirtwaist Fire. May 1911: Wisconsin passes first workers compensation law. February 1912: Beating of the women and children at Lawrence, MA. June 1913: Paterson Silk Pageant. Addendum here. November 1915: Joe Hill executed in Utah. November 1916: The Everett Massacre. July 1917: The Bisbee Deportation. August 1917: Frank Little lynched in Butte. February 1919: The Seattle General Strike. November 1919: The Centralia Massacre. August 1921: Battle of Blair Mountain. June 1925: Soldiers in Nova Scotia shoot and kill William Davis, a striking coal miner. August 1925: Founding of the Brotherhood of Sleeping Car Porters. August 1927: Execution of Sacco and Vanzetti. March 1932: River Rouge march and repression. May 1934: Longshoremen strike begins in San Francisco. May 1934: Minneapolis Teamsters Strike. November 1935: Creation of the CIO. February 1937: The Flint Sit-Down Strike ends. May 1937: Memorial Day Massacre in Chicago. May 1937: Battle of the Overpass. January 1941: March on Washington Movement leads to end of official segregation in defense industry. June 1943: Detroit Hate Strike. July 1944: Port Chicago explosion. August 1945: Air Line Stewardesses Association, first flight attendant union, forms. September 1946: Tobacco workers win contract in North Carolina, starting CIO’s Operation Dixie campaign. December 1946: The Oakland General Strike. April 1952: Truman nationalizes steel industry — Workers wages cannot rise as fast as CEOs’. July 1959: Steelworkers Strike of 1959 begins. 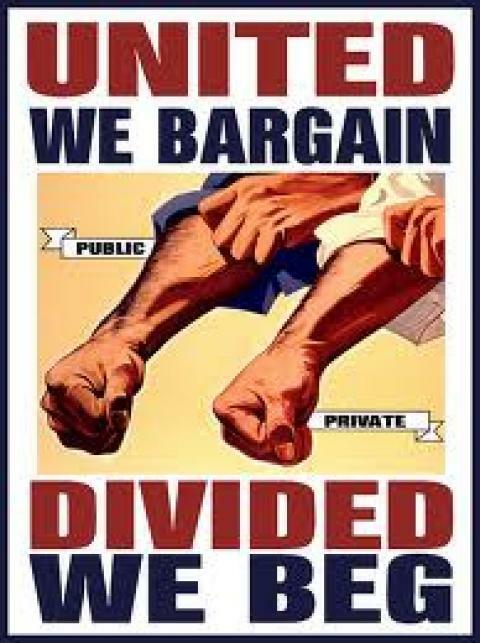 January 1962: President Kennedy issues Executive Order 10988, authorizing collective bargaining for public workers. April 1968: Assassination of Martin Luther King during sanitation strike in Memphis. January 1970: Murder of UMWA reformer Jock Yablonski. July 1970: United Farm Workers force growers into the first union contract in the history of California agricultural labor. Struggles during the long decline. March 1974: Coalition of Trade Union Women holds first meeting. March 1977: AFSCME goes on strike in Atlanta, crushed by mayor Maynard Jackson. August 1981: Air Traffic Controllers go on strike in biggest disaster in organized labor’s history. September 1989: The Pittston Strike. June 1990: Los Angeles police beat SEIU members in Justice for Janitors march. (3) Throwing away the gains from 110 years of struggle. Gains from generations of struggle were lost carelessly in a generation. Many unions were internally weaker than they looked at their peak, with widespread corruption, stupid and greedy leaders, and infiltrated by organized crime. This made the successful counter-revolution by corporations much easier. As a sign of their brazen return to power, mega-corps have re-instituted illegal wage cartels: such as those reveal among technology companies and entertainment companies — plus those we don’t know about (these are easy to hide if done informally). What will America look after another generation of corporate attacks on workers? The fall of unions was a major factor undermining the middle class. Since 1970 wages have been falling as a share of Gross Domestic Income (GDI); since 1990 profits are rising. See the graphs below. The reasons are complex, the result has by now become unmistakable: a shift of our national income from return on labor to return on capital. Since the nation’s wealth is so highly concentrated, the result is rising inequality of income. The actual decline of workers’ pay is worse than shown in this graph, since these “wages” include the vast sums paid to senior corporate managers — sums beyond anything seen until 1980s. Profits as a share of Gross Domestic Income fell for generations. The long drop reversed, like so many things, during the 1980s. Since then every day is Christmas for plutocrats. Vital to remember: “The Myth of the Middle Class” by Alan Nasser (professor emeritus of political economy, Evergreen State College) at CounterPunch. Most Americans have been poor since the 1% took control in the late 19th century, crushing the independent craftsmen and farmers with frequent and long depressions. Also see “Bargaining for the American Dream; What Unions do for Mobility” by Richard Freeman et al at the Center for American Progress. The new American economy: concentrating business power to suit an unequal society. Why the 1% is winning, and we are not — They are smart, organized, and have planned how to win. Before your celebrate Labor Day, look at the reality of America’s workers. (5) How to destroy unions. highlights the tenacious efforts by employers to organize themselves as a class to contest labor. Ranging across a spectrum of understudied issues, essayists explore employer anti-labor strategies and offer incisive portraits of people and organizations that aggressively opposed unions. Other contributors examine the anti-labor movement against a backdrop of larger forces, such as the intersection of race and ethnicity with anti-labor activity, and anti-unionism in the context of neoliberalism. The worst part of the fall of labor is that the business owners seem to fail to recognize that they are breaking the source of their own prosperity. Paying higher wages means that workers can buy more goods and services. Business owners have been surprised by the relative asceticism of the Millennial generation compared to the Baby Boomers but it simply comes down to the fact the Millennials have calmly assessed the situation and compensated for it by buying less. 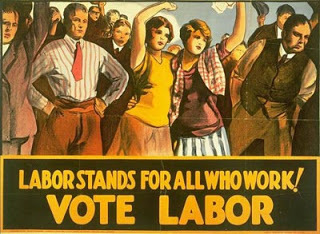 The key successes of the labor movement came during times of low immigration or high demand for labor (WWI and WWII for example). Businesses currently have a large supply of immigrant labor, a large supply of people who have exited the work force but could theoretically re-enter it, and increasing automation. All of the above leads me to argue that efforts at reform based solely on labor-as-production movements are not likely to succeed in the long run. But workers/consumers have a key advantage, businesses can only generate profits if they serve the needs of their customers. Falling consumer buying power forces businesses to lower their prices, which lowers profits and can even force businesses into bankruptcy. Movements that combine purchasing power and control of labor output have a vastly greater chance of success than movements that seek power solely by reducing manual production output. Striking some new balance between business owners and labor/consumers is vital to the future success of the country but it will not be easy. See the article below which shows very clearly why factory owners are being forced to use robots. WaPo: “Rise of the machines“, 5 August 2017. The obvious but unspeakable truth about not just labor unions but also about the growth of the American middle class. Intense propaganda masks their truth from American’s eyes. Economists have long understood these kinds of paradoxes, where behavior that works for the individuals fails when adopted on a society-wide level. The best known is the “paradox of thrift” — high savings levels works for thee, but not for we (this can be compensated for by actions of the other two sectors, businesses and govt, as done in the East Asian nations). Yes. And no. It will require that we adopt a different perspective on America. More like what we had during the New Deal and WWII era. A change of mind is easy mechanically, but difficult to achieve. Follow-up note: like most aspects of the automation challenge, this paradox has long been known (and ignored). As in this passage from a speech by Walter Reuther (the great UAW leader) in November 1956 to a Council group of the National Education Association. It’s from his Selected papers (1961). Another consequence of the destruction of organized labor: the gateway to even a humble middle-class existence is behind university doors. Another reason Millennials (and to a lesser extent Gen X) are thriftier than Boomers is because many of us are groaning under student debt, no thanks to the privatization of Sallie Mae and the increasingly predatory behavior of educational lenders. I wonder how long before it becomes a new debt crisis. In California almost every non-manual job requires at least an AA, most a BA. And Silicon Valley firms often have job descriptions that say in various ways “only degrees from elite colleges” accepted. What really scares is me is how we came close, yet ultimately failed miserably to solve the human problems of this industrial revolution…while another even more disruptive one looms on the distance. I hadn’t thought of that perspective. Depressing yet insightful. Better luck next time?